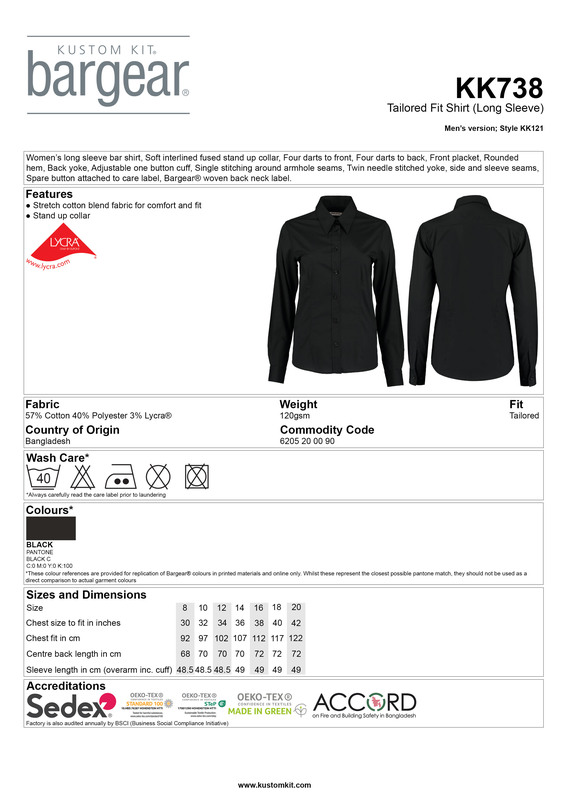 Bargear Ladies Long Sleeve Bar Shirt made from a mix of polyester, cotton and lycra this is an easy to wear and easy to care for shirt. It is fitted for a great shape and has a soft fused collar, front and back darts, rounded hem, comfort finish cuff seams and matching buttons. Black only.